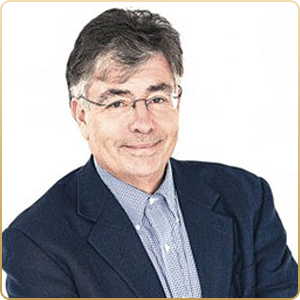 Jonathan Chevreau was the personal finance columnist for the Financial Post since 1996 and for the National Post since its debut in 1998. He has authored or co-authored seven non-fiction financial books, including The Wealthy Boomerand the financial novel, Findependence Day,available in U.S. and Canadian editions elsewhere on this website. In September 2011, he was named by the OSC’s Investor Education Fund as one of five “Masters of Money,” where he contributes a regular blog. In 2012, he left the Post to become Editor-in-Chief of MoneySense Magazine, until May 2014, when he declared his personal Findependence Day. He continued as Editor-at-Large for the magazine for another year, writing the weekly Financial Independence blog housed at moneysense.ca. He also resumed writing occasional blogs and columns for the Financial Post and began to blog and write quarterly special reports for Motley Fool Canada. In November 2014, he published two e-books for the Amazon Kindle (U.S. and Canadian editions of A Novel Approach to Financial Independence), and launched the Financial Independence Hub (aka “The Hub.”) He’s currently co-authoring a new book on life after Financial Independence. He’s also active in social media: in addition to the Twitter and Facebook feeds shown on this site, he’s on Linked In and Google Plus, and dabbles a bit with Pinterest and Snapchat. He’s a member of Toastmasters and speaks on Personal Finance and Financial Independence. For information on our turn-key event solutions, speakers bureau, or to sponsor a Prosper Experiential Media event, please Contact Us. Copyright © 2017 Prosper Experiential Media. All rights reserved.